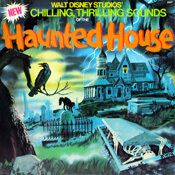 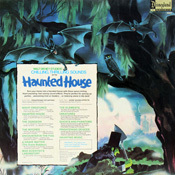 Record Comments: Although this album is entitled "Chilling, Thrilling Sounds Of The Haunted House" just like the DQ-1257 records are, the contents are different. 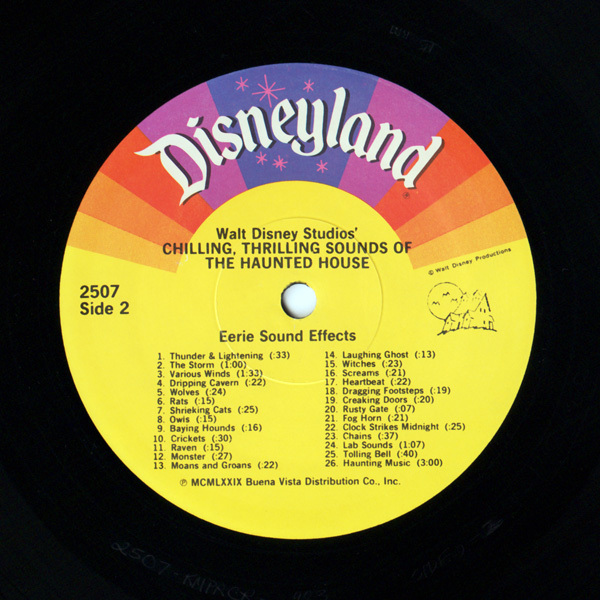 There is no narration on this record. 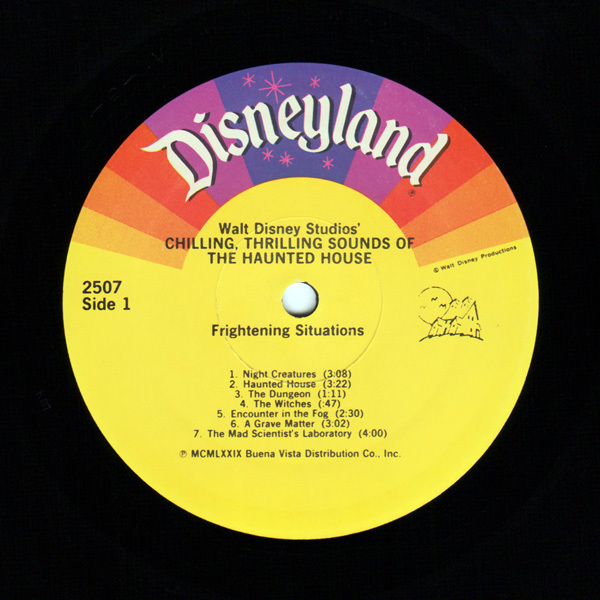 Side one includes Frightening Situations and side two includes Eerie Sound Effects.